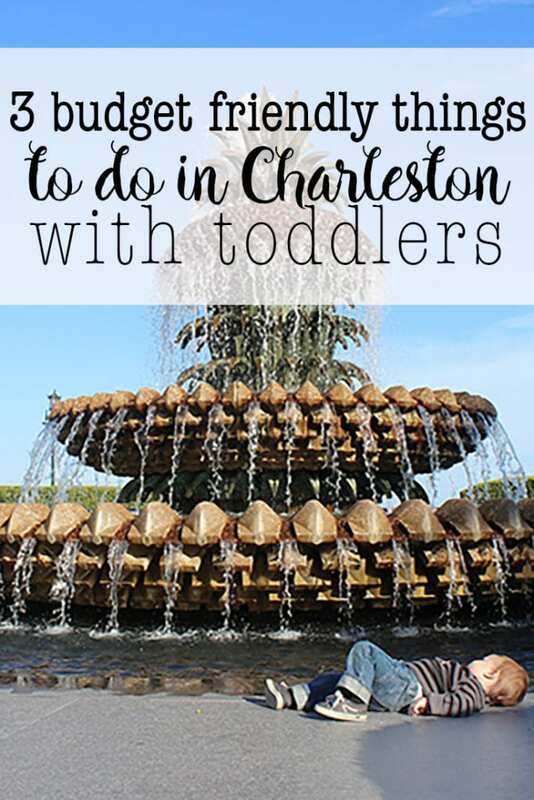 Looking for toddler friendly activities in Charleston, SC that won’t break your budget? Look no further because I’ve got you covered. These three easy activities will keep the kids entertained between all your southern gastronomic adventures. Give the kids a break from exploring the city’s delicious food and let them have fun with these three budget-friendly toddler activities. Charleston, SC is known as a beautiful walking city with amazing restaurants. Unfortunately, toddlers are not known for their willingness to sit down and act perfect for three sit down meals a day. They also tend to get a bit restless when confined to a stroller all day. During our visit to the holy city (so because of all the church steeples), we found out the hard way that toddlers do not enjoy being stuck in a stroller all day exploring the city and eating sit down meals. Don’t make the same mistake we did! 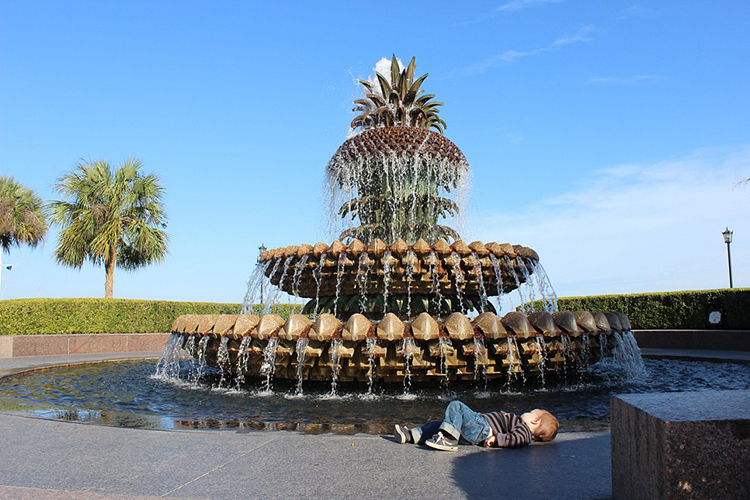 Plan ahead for fun things to do with toddlers in Charleston. After only one day into our trip we found these 3 fun budget-friendly things to do with toddlers that entertained our toddler for a little bit every day of our vacation. 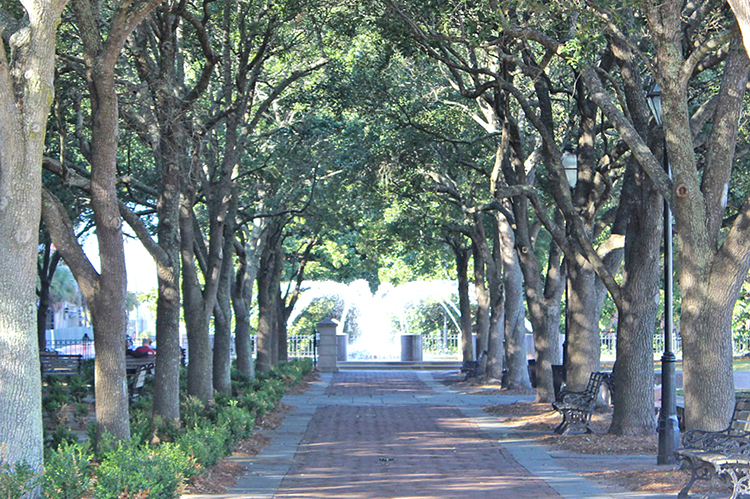 Charleston Waterfront Park is a must-see when visiting the city. 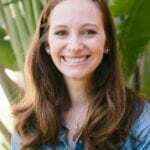 It’s one of the most visited parks in the area for a good reason: it’s absolutely beautiful with breathtaking views of the city’s antebellum architecture and waterfront. Conveniently located downtown, overlooking Charleston Harbor, and only steps away from popular restaurants, it is a great place to take the kids to let them burn off some energy. The splash fountain is a favorite of kids and adults alike. We like it because it’s the perfect way to entertain toddlers right before naptime or before heading back to the hotel for the night. TravelingMom Tip: If you bring a change of clothes you can even hit the town again after letting them play! The fountain provides tons of entertainment even during the cooler months because kids can run around it without getting wet. To make it even better, the fountain overlooks the harbor pier. While the kids play, parents can enjoy the beautiful waterfront view. The best part about the park is that it is free. You can walk up to the fountain, play a bit, and then walk up and down the pier. Take a load off in one of the family sized swings located along the pier. 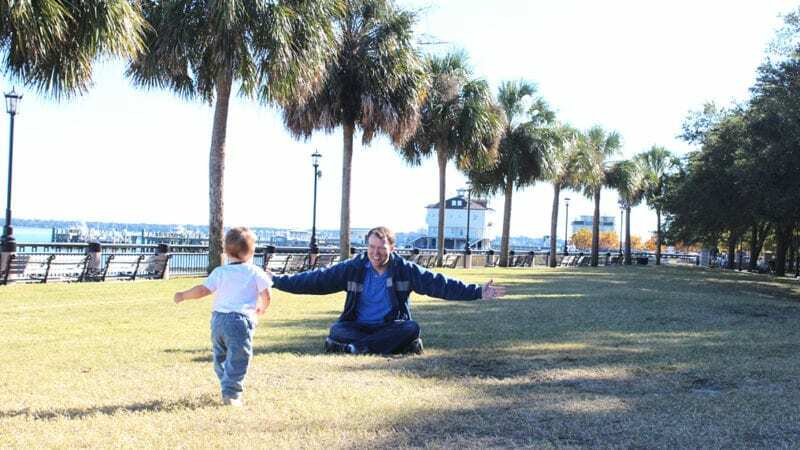 While you are at the splash fountain, check out another free activity: the grass at Charleston Waterfront Park. No playground equipment is needed because there is so much open space for running alongside the water. Eight acres of park stretch along the coast allowing families to walk the sidewalks to play in the grass. 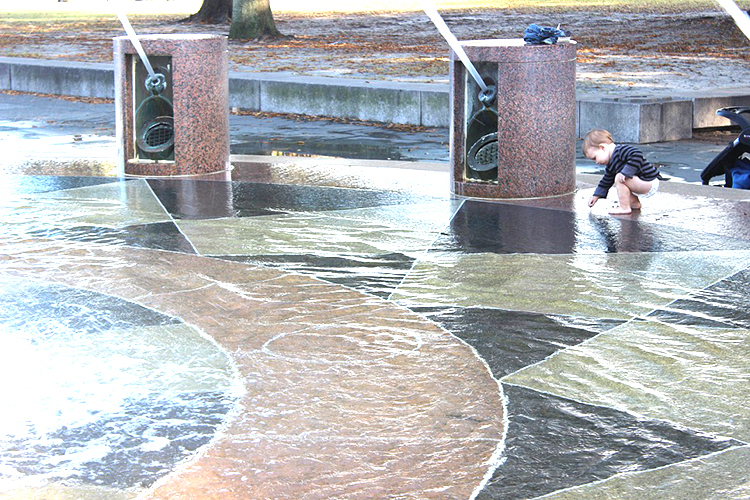 This is a fun way to let the kids dry off after playing in the fountain. You can’t check out the park without stopping for a photo opp at the Pineapple Fountain. Rumor has it that wading in this fountain is permitted too! 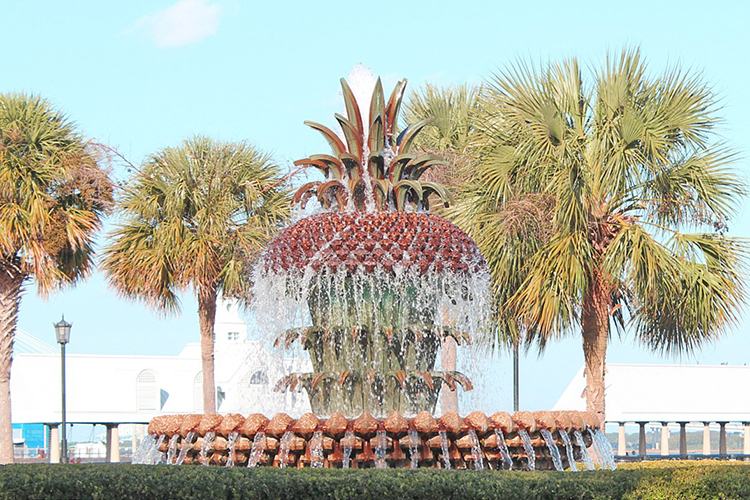 The pineapple is a symbol of hospitality in the south and adds character to an otherwise normal fountain. Kids get a kick out of seeing giant fruit in a fountain! Not only does it make for a fine family photo, it’s also the best spot to rest and enjoy the park view. We love it because it is the perfect spot to recoup after a busy day of walking around town. Parents can sit down for a bit while the kids run and play in the wide open grassy area. 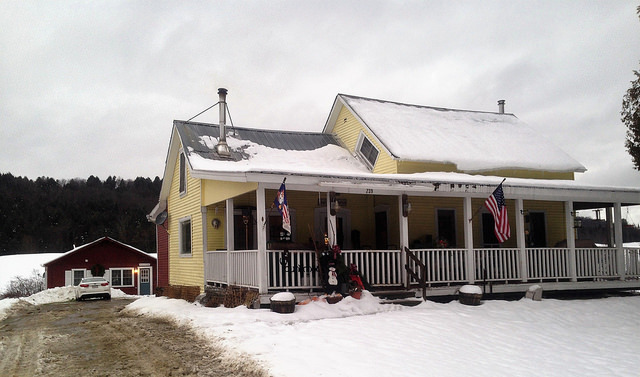 It’s also a great place to let all that southern food digest! Outdoor activities are awesome, but sometimes you need to head indoors to cool down or warm up. 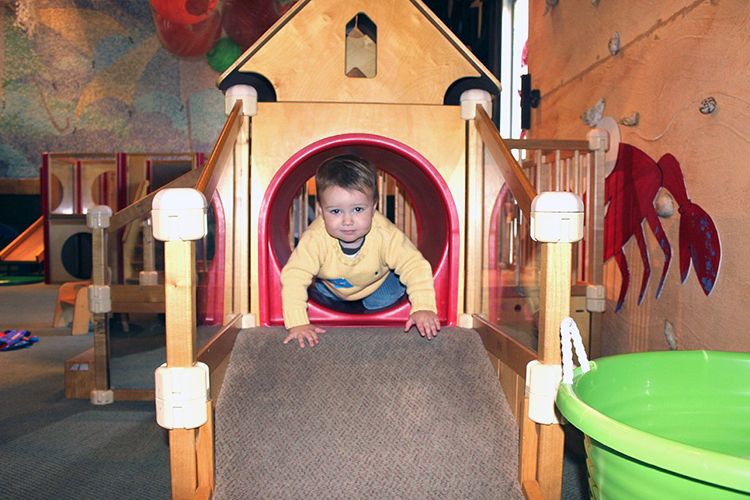 The best place to head indoors with toddler is the Children’s Museum of the Lowcountry. Tickets are $12, and children under one are free. Don’t worry, you don’t have to pay full price because you can easily find coupons to the museum in hotel lobbies, tourist magazines, and the visitors bureau. To make your visit even cheaper, check out how to visit children’s museums for less while traveling. It’s impossible to get bored there with 8 different exhibits. You could even go on different days and still not get bored. The different activities include a toddler room (that my son loved the most), an art room, a medieval castle, garden, firetruck, a pirate ship, water play, and a mini Publix market. You won’t hear your kids say, “I’m bored” on your visit to the museum. The museum has a cafe with small snacks and also allows outside food to be eaten in the garden. The Charleston Tea Company and Fish Restaurant is conveniently located nearby and offer carry out. 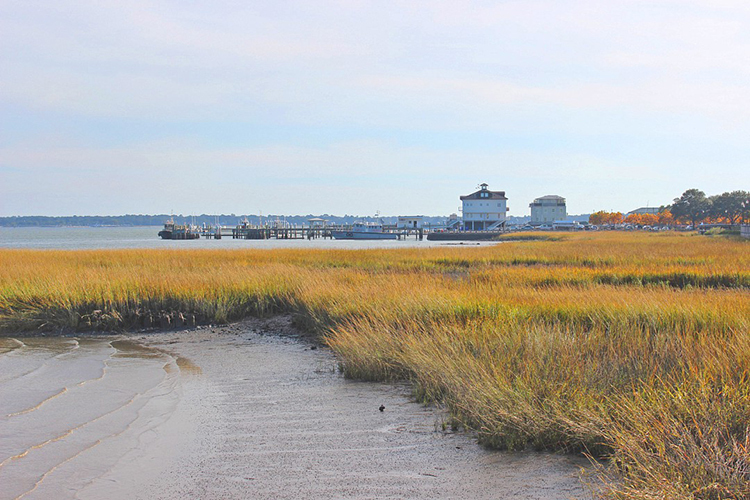 There are tons of entertaining things to do in Charleston, SC. Throw these three toddler friendly activities into the rotation and you’ll be bound to have happy kids. 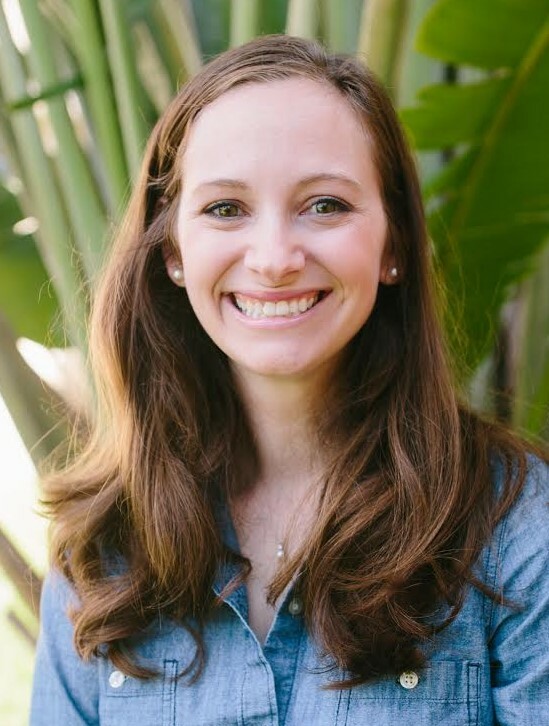 I have only experienced Charleston with teens and adults–you share a new perspective of a grand place. Thanks! It truly is a fun place for all ages. Great ideas for the kids. Can’t wait to visit!